Ordination of Fr. Maximos by Metropolitan Constantine. Fr. Maximos Saikali is a graduate of the famed Balamand University-Monastery, where he encountered his classmate and future wife Rita Addoul. Balamand Monastery has existed in Northern Lebanon for nearly a millenium, as monks built Balamand Abbey in 1157 AD. In concert with a life of prayer, the monks cultivated the soil, wrote and copied manuscripts, and hosted guests who sought refuge. Today, Balamand is a distinguished seminary. Fr. 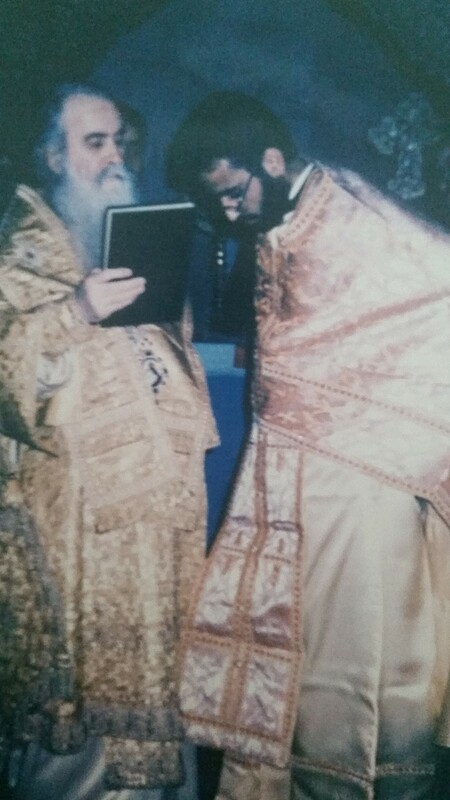 Saikali was ordained to the priesthood over 30 years ago by the highly esteemed Metropolitan Constantine (Papastephanou). 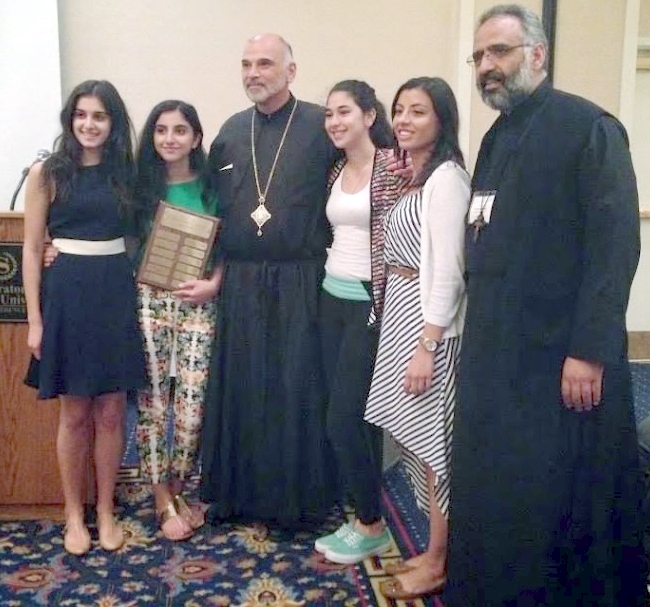 In 1991, Father and Khouriyee Saikali answered the call to shepherd the flock of Saint Antonios. 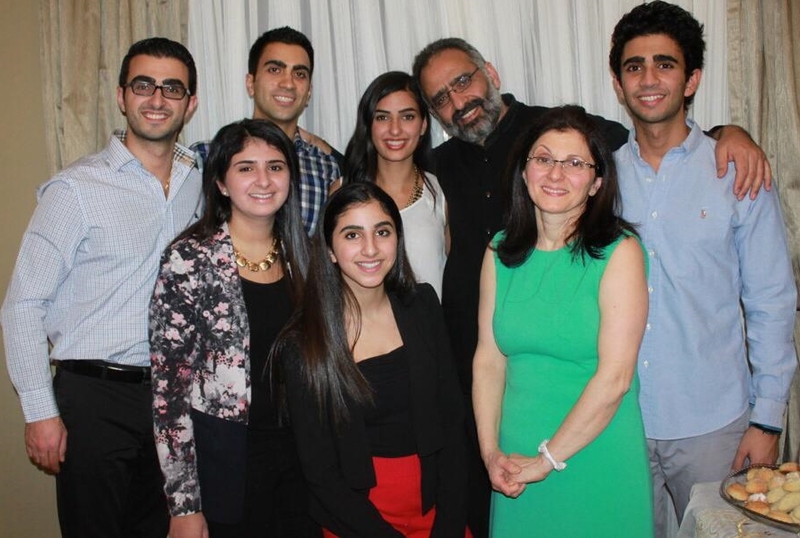 They arrived with two young children, Milad and Maria (soon to be Dr. Maria Haddad), and established their family in our midst. They would have three more children: Anthony, Stephanie, and Elianna, all of whom set an example by their deeds. Fr. Saikali has also played a role in mentoring the next generation of clergy. Fr. Mark-Arsenios Wyatt sought guidance from Fr. Saikali, who received him into the Orthodox Church. Fr. Saikali encouraged Mark to consider pursuing his education overseas. Fr. Wyatt attended the Saint John of Damascus Institute of Theology, at Balamand Monastery. In September 2007, Fr. Mark-Arsenios Wyatt was appointed Pastor of Saint Nicholas Church in Montreal, Quebec. Bishop Alexander and local Clergy at Saint Antonios Church. Bishop Alexander was born in north Lebanon. 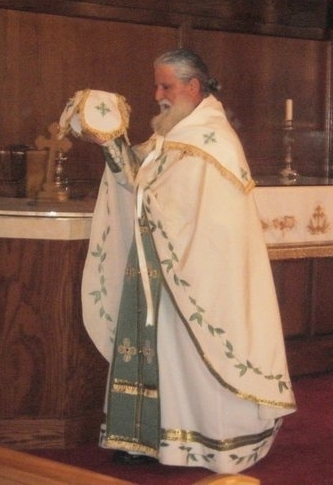 He was ordained a Priest in 2000, and was elevated to Archimandrite and consecrated to the Holy Episcopacy in 2004. His consecrating Bishops included His Beatitude Ignatius IV. In 2005 he was enthroned as the first Diocesan Bishop of Ottawa, Eastern Canada, and Upstate New York. Bishop Alexander kindly visited our Church on numerous occaisions, including the January 17th feast to celebrate Saint Antonios. His appearance is always a joyous occaision, and he is beloved because of his steadfast support. Holy services presided over at Saint Antonios by his grace Bishop Alexander, Fr. 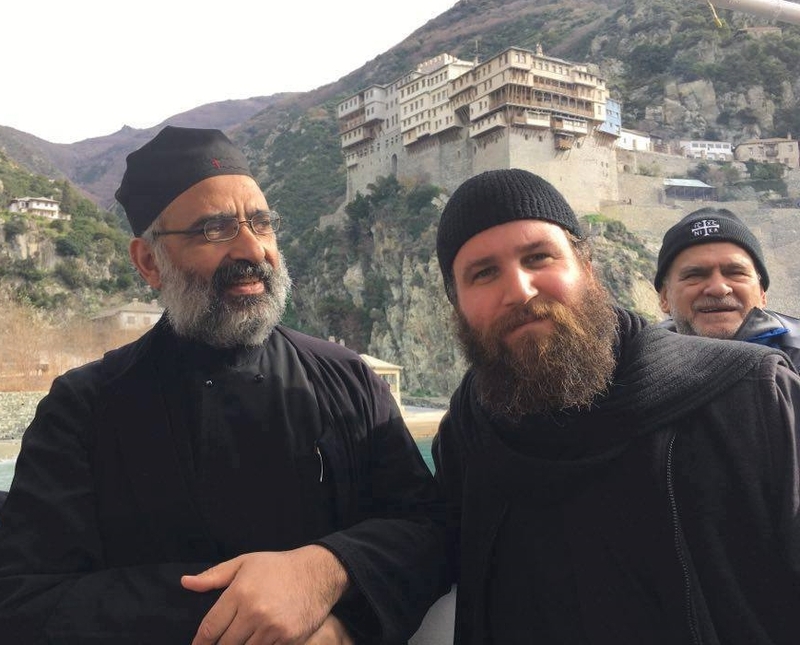 Iakovos of the Holy Monastery of Simonopetra on Mt. Athos, Fr. George Esber, and Fr. Maximos Saikali. 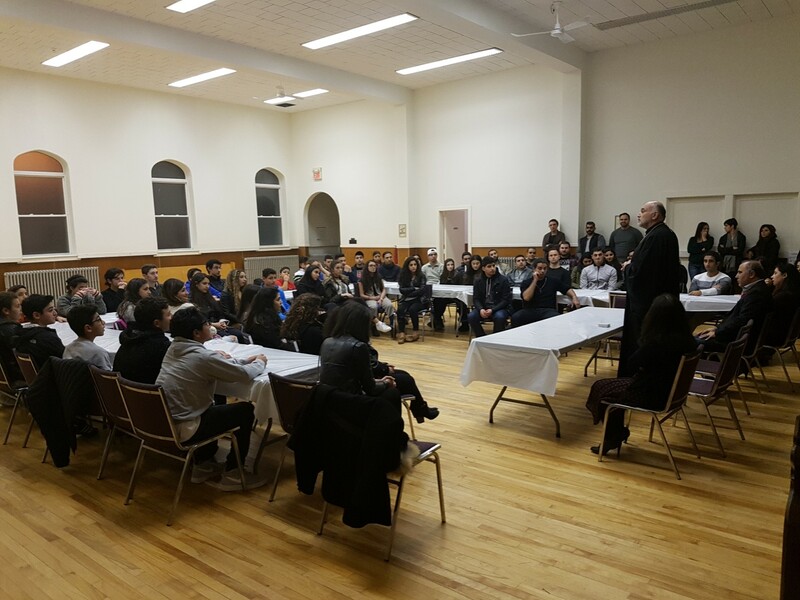 Bishop Alexander meets with Saint Antonios Youth. 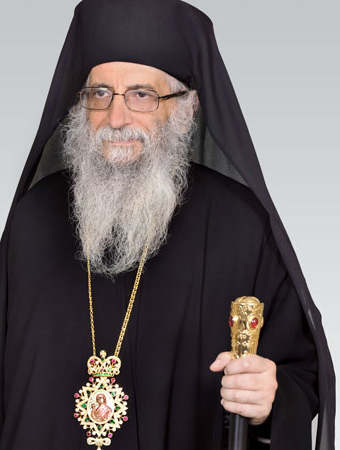 Metropolitan Ephraim Kyriakos was born in Beirut, Lebanon (1943). His initial studies focused on telecommunications, and he later taught at St. Joseph University. In 1972, Ephraim left his secular career and entered the St. John of Damascus Institute of Theology at the University of Balamand. He was ordained a deacon in 1974, and then a priest in 1978. Ephraim joined the Monastery of St. Paul on Mount Athos in 1983. There he received the name "Ephraim", in honor of Ephraim the Syrian. He subsequently established a monastery in Lebanon named the Holy Archangel Michael Monastery. 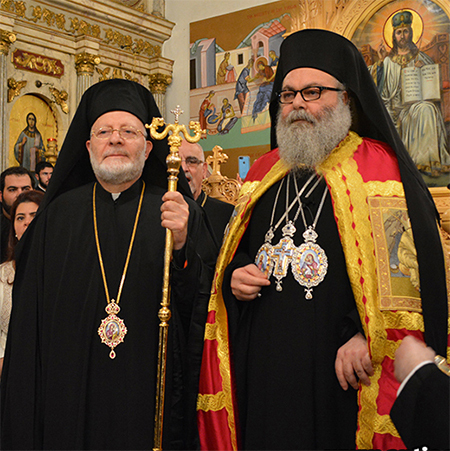 Ephraim was elevated to an Archimandrite in 1991, and became a Metropolitan Archbishop in 2009. 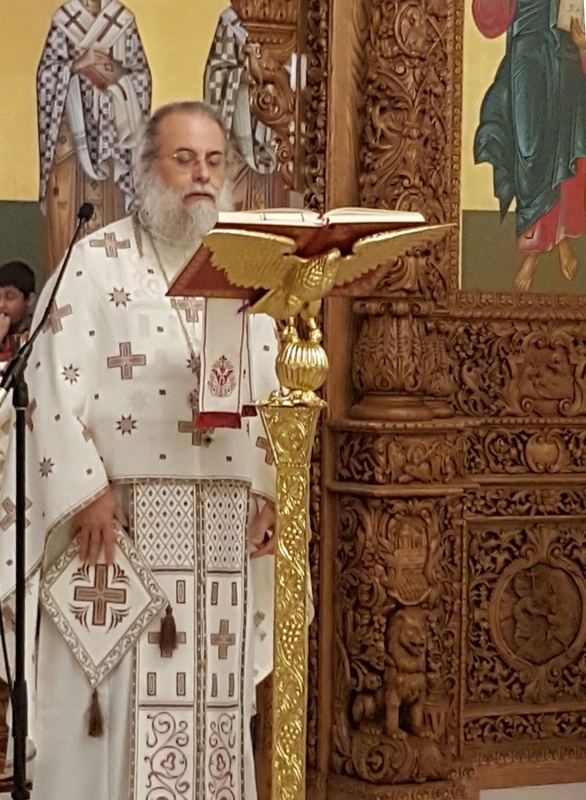 Metropolitan Ephraim has been a fervent supporter of Saint Antonios, and travelled from Lebanon to celebrate the new Church's official opening ceremony. Listen to Metropolitan Ephraim recite the "Paschal Homily". Additional information on Mt. Constantine and his advice for Priests are detailed in the following Microsoft Word document or PDF. Fr. Maximos, Fr. Mark Wyatt, Abraham Salloum. As a young man he participated in the Second World War overseas with the Canadian Army. After leaving the military, he served as a priest in the Anglican Church for 35 years. In 1990 he was ordained as a Christian Orthodox Priest, serving in this capacity until his death (2005). 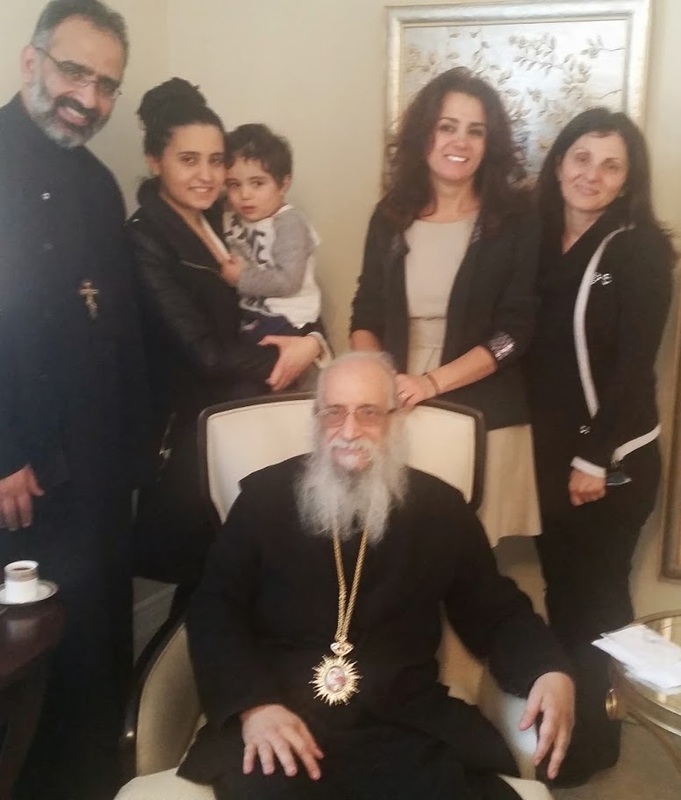 He was a much-loved spiritual leader of Saint Antonios Antiochian Parish and his presence is sorely missed. He was an active supporter of worker rights, and his commitment to social justice remained throughout his lifetime. Fr. Saikali & Fr. Parsons. Saint Antonios belongs to the self-ruled Antiochian Orthodox Christian Archdiocese of North America, and Metropolitan Joseph is its leader. 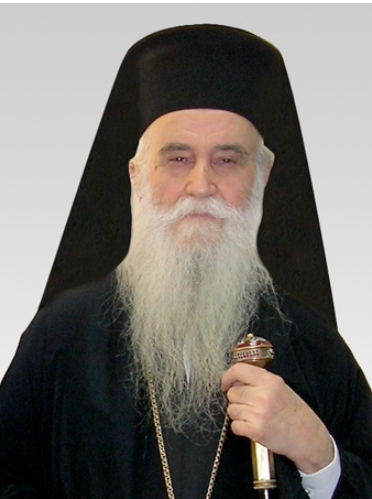 His Eminence, Metropolitan Joseph, was born in Damascus in 1950. He is fluent in English, Arabic. Greek, and is conversant in other European languages. In 2011, Patriarch Ignatius IV elevated Bishop Joseph to the rank of Archbishop, in honor of his many years of service as a bishop both in our Archdiocese and in the Patriarchate of Antioch. In 2014, Archbishop Joseph was elected to become the Archbishop of New York and Metropolitan of all North America by the Holy Synod of Antioch. 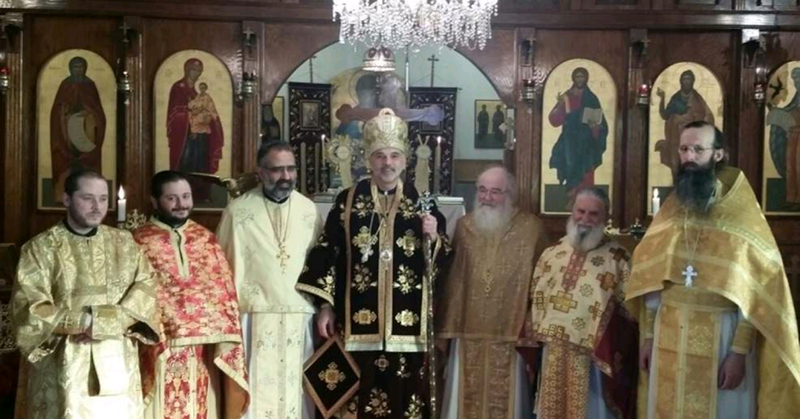 The Antiochian Orthodox Christian Archdiocese of North America is an Archdiocese of the Patriarchate of Antioch and All the East, and Patriarch John X is its leader. His Beatitude John X was born in 1955 in the city of Lattakia, Syria. His Beatitude is the author of several books on theology, education, music, and liturgy. In 2012, Patriarch John X was elected by the Holy Synod meeting at Balamand Monastery as Patriarch of Antioch, and all the East. The remarks of newly enthroned Metropolitan Joseph at his enthronement where he lays out his pastoral vision of a shepherd and his staff. 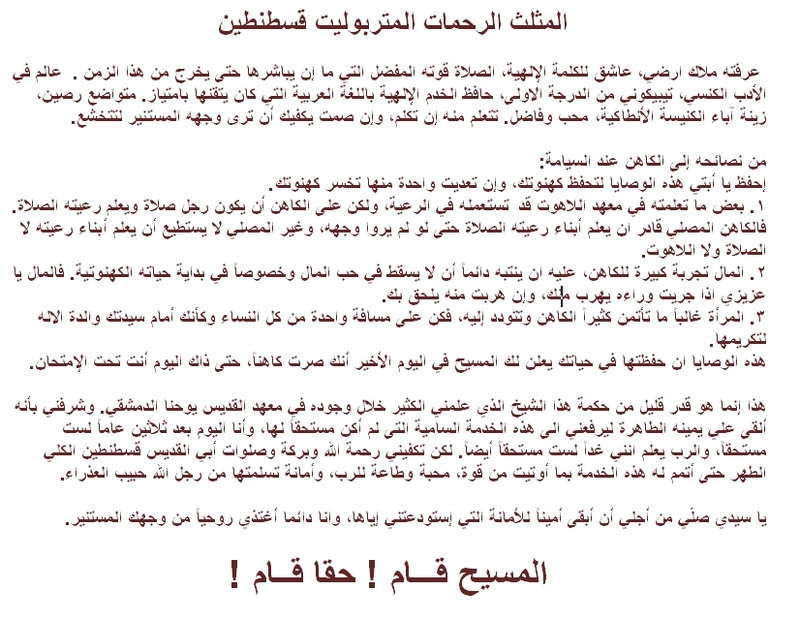 The remarks of Patriarch John X at the enthronement of Metropolitan Joseph in Arabic. The remarks of Patriarch John X at the enthronement of Met Joseph in English. 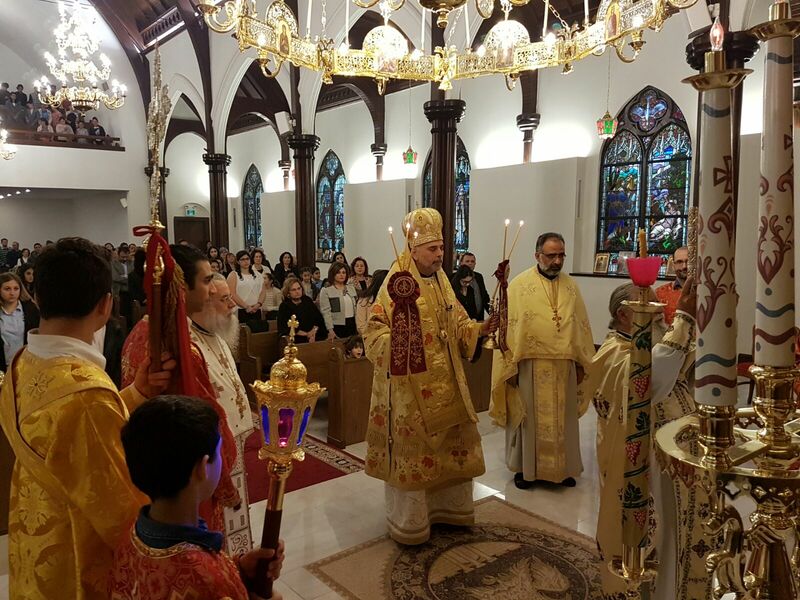 Metropolitan Elia Saliba played an important role in the establishment of Saint Antonios Antiochian Parish. 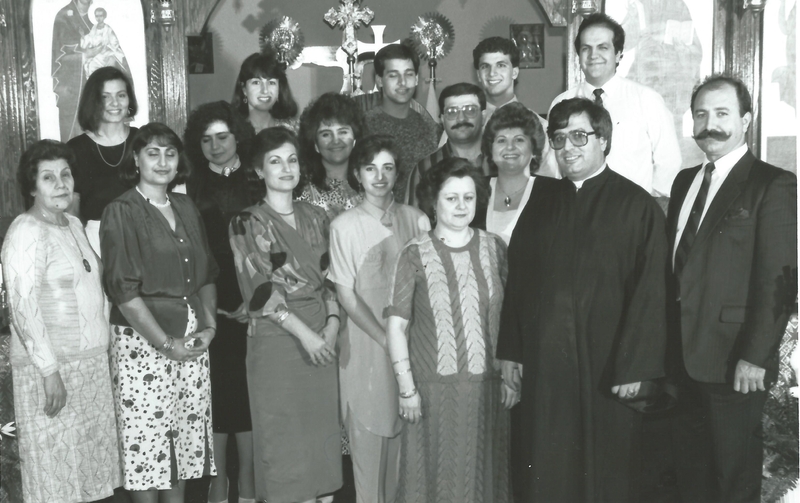 He visited the community in 1980 before a Church was purchased, and then returned several months later to officiate the first sunday service and wedding (Linda & Bassam Nahas). Born in Lebanon (1924), Metropolitan Elia Saliba holds a Bachelor of Theology from the famed Halki Seminary and a Bachelor of Law from the University of Damascus. He was ordained a priest in 1950, a Bishop in 1966, and a Metropolitan in 1984. 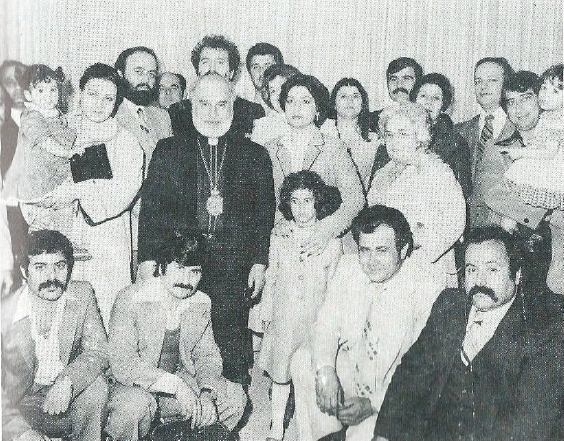 Metropolitan Elia Saliba officiated the first sunday service and wedding at Saint Antonios (1980). Fr. Elia Shalhoub was born in Douma, Lebanon. He was ordained a priest by Metropolitan Philip Saliba in 1980. Shortly thereafter, he was assigned to Saint Antonios Church, where he served for eleven years together with Khouriyee Odette Shalhoub. While in Halifax he also established the Mission of St. Peter & Paul in Prince Edward Island. In 1991, Fr. Elia was assigned to St. George Church in Toronto, where he served for 4 years. Fr. Elia is at St. Philip Church in Florida since 2012. 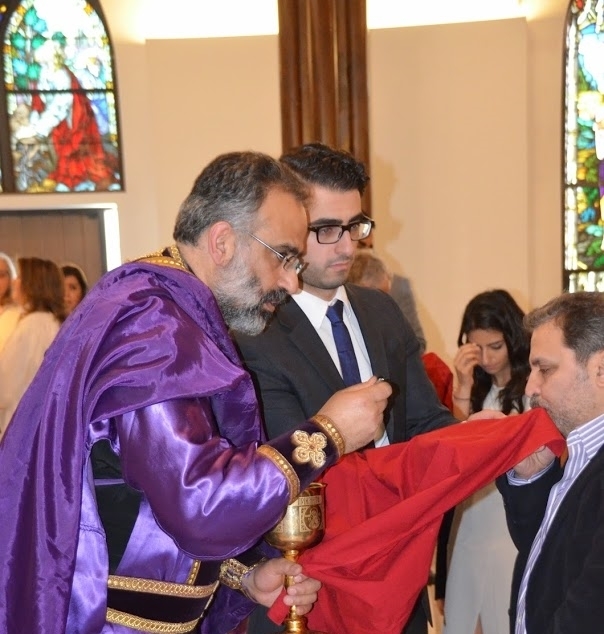 Bassam Nahas, Abraham Salloum, Fr. 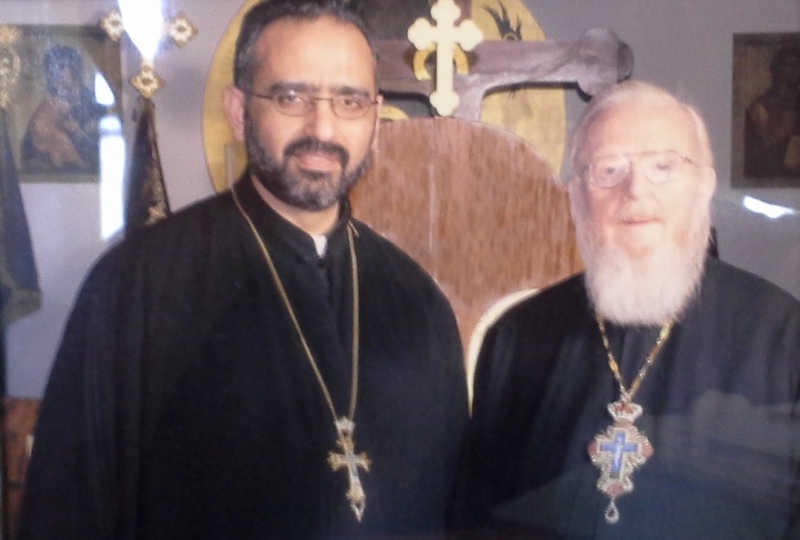 Elia Shalhoub, Metropolitan Philip Saliba. The Antiochian Orthodox Christian Archdiocese of North America, with great sadness, announced the passing unto life eternal of Metropolitan Philip Saliba, on March 19, 2014. May his memory be eternal. 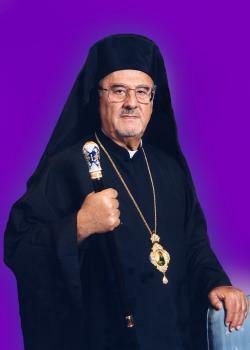 Metropolitan Saliba was a long-time supporter of Saint Antonios. In 1980, he designated our then infant Church an Antiochian Orthodox mission under the patronage of Saint Antonios (May 20, 1980). 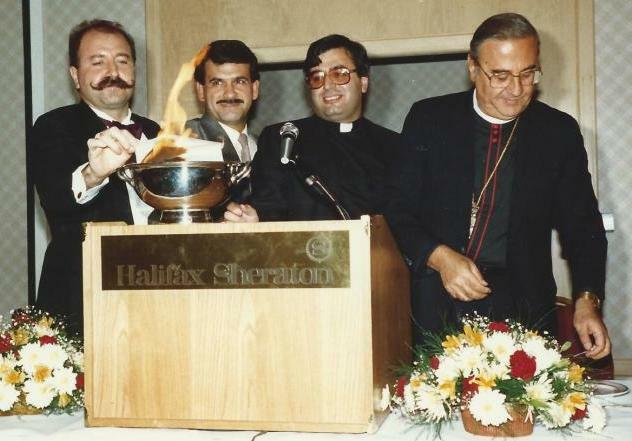 He was also present in Halifax during the mortgage burning ceremony. An enlightening and inspiring interview with Metropolitan Philip conducted by Fr. Peter Gillquist in November 2008 in the home of His Eminence. Listen to a 2 minute preview of the interview. In part one, Fr. Peter asks His Eminence about health, family, his most significant accomplishments and his biggest disappointments. 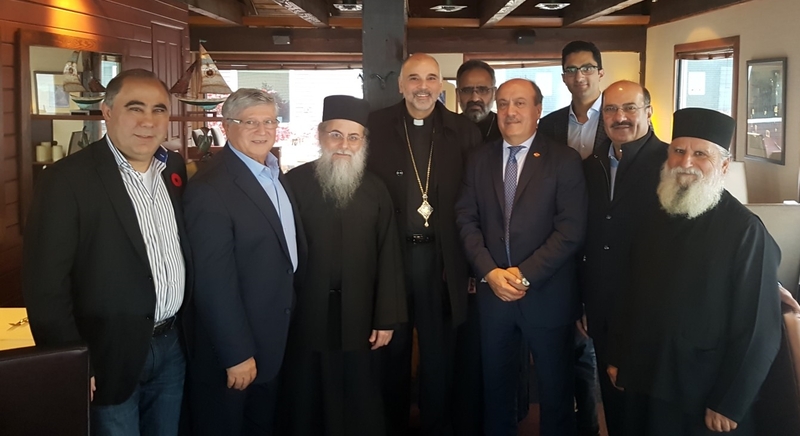 In part 2, we hear the thoughts of Metropolitan Philip on the recent OCA crisis, his meeting with Metropolitan Jonah, Orthodox Administrative unity, evangelizing in today's culture, SCOBA and much more. 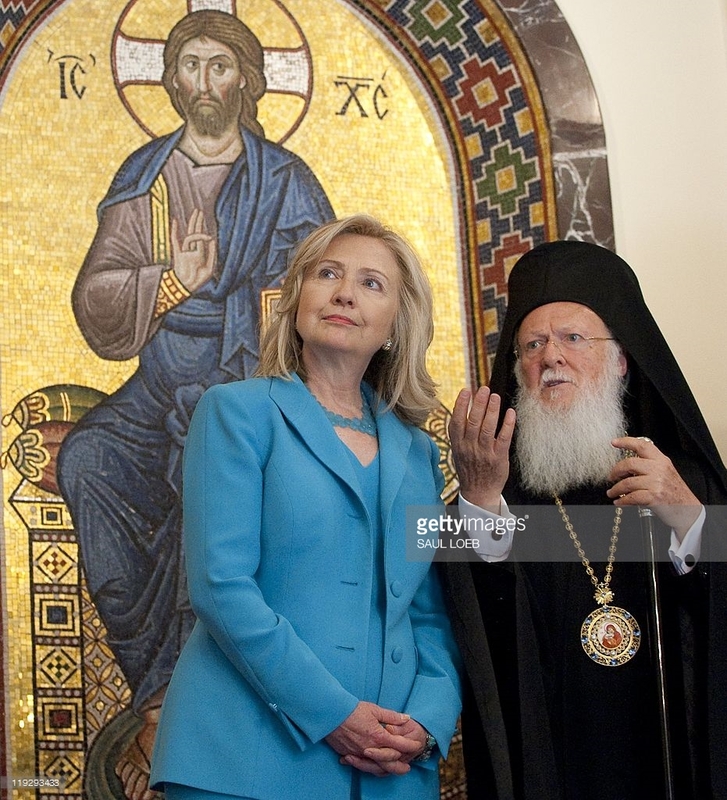 Former Secretary of State Hillary Clinton & Patriarch Bartholomew I. His All Holiness Bartholomew I is the current Archbishop of Constantinople and Ecumenical Patriarch. He is regarded as the spiritual leader of the world's 300 million Orthodox Christians. His All Holiness Bartholomew I, the "Green Patriarch". Famed Greek Orthodox Archbishop Iakovos defied death threats and fought racism alongside Dr. Martin Luther King Jr. (shown together below during the Selma march). Visit http://civilrights.goarch.org/ to learn more about the remarkable story. Iakovos also became the first Orthodox Archbishop to meet with the Pope in 350 years (1959), and helped drive the reconciliation between the Orthodox and Catholic Christian faiths, which is continued to this day by Pope Francis and the Ecumenical Patriarch Bartholomew. Archbishop Iakovos is certainly an inspiration to Saint Antonios Parishioners, and the broader Orthodox community. Famed Orthodox Archbishop Iakovos defied death threats and fought racism alongside Dr. Martin Luther King Jr. (shown together during the Selma march). Visit http://civilrights.goarch.org/ to learn more about this remarkable and inspirational story. Iakovos also became the first Orthodox Archbishop to meet with the Pope in 350 years (1959).